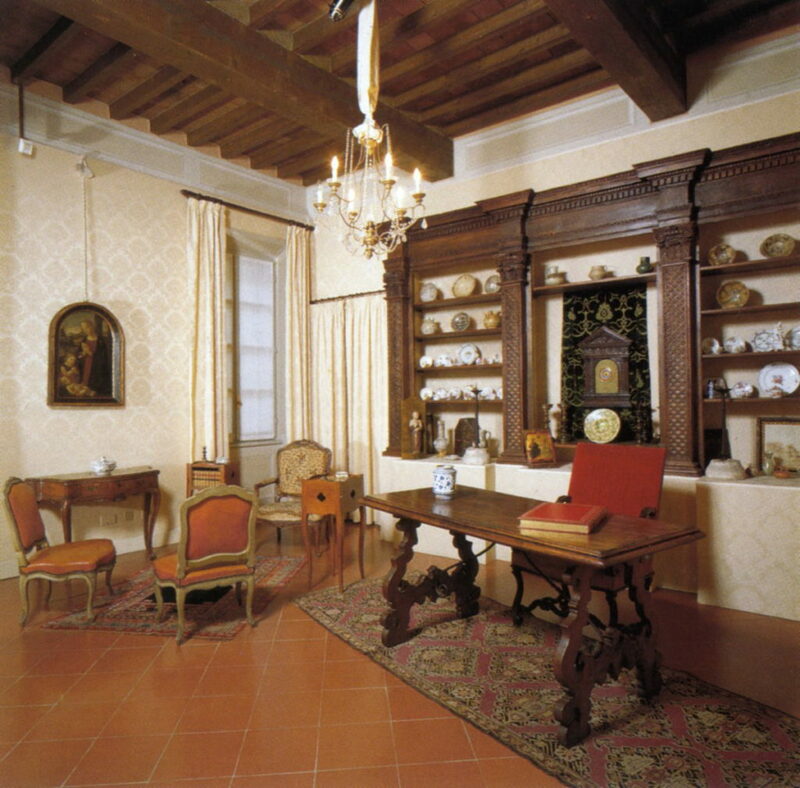 A room at Palazzo Bossi Bocchi displaying table ceramics from the 15th-17th centuries (Parma, Cariparma Foundation Art Collections). The palace, first built in the 17th century, today houses the Art Collections of the Cariparma Foundation. These include a rich collection of Po Valley, Italian and European still lifes: the work of local painters like Felice Boselli (1650-1732) is displayed alongside paintings by Giuseppe Recco (1634-1695) and by Flemish artists, including Peter Claesz (1597-1661). The striking reconstruction of two dining rooms – with original 16th to 18th century furnishings and featuring precious porcelain pieces as well as kitchen and table vases of the 15th century – allows visitors to visualize the sophistication of the Po Valley food culture in past centuries.